There was a significant crispy crunch to these Crisps, and this was sustained throughout the munch process - right up until the last bell tolled for each hapless Crisp. These Hand Cooked Crisps featured bends and curls, but there were not quite as many irregular shapes and deformities as we have grown familiar with in a bag of Kettle Cooked Crisps. However, there were oil boils and a thick coating of orange seasoning powders; some areas darker than others. A quick bag tear and an immediate Nose Plunge Test revealed a release of instant and intense smoky barbecue. This was a good start. 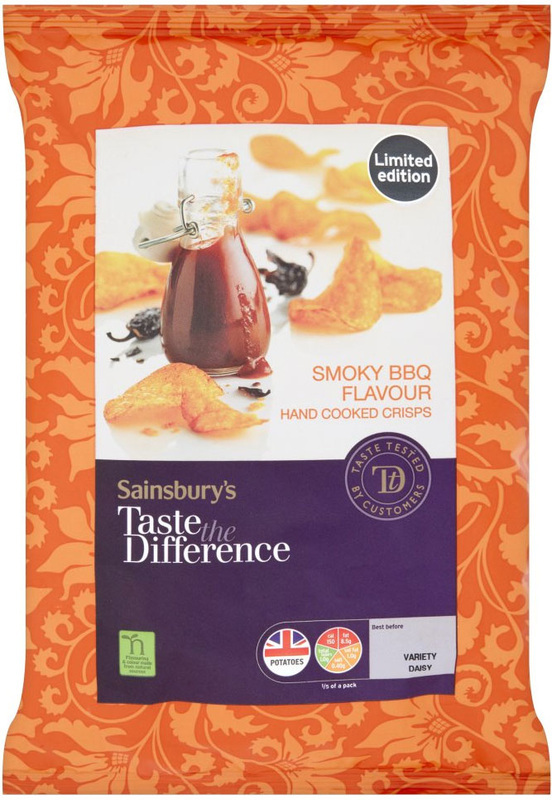 The taste sustained the smokiness, and even some barbecue flavouring, but they seemed to be lacking in any of the warmth, spiciness and especially the sweetness, that you would associate with Crisps of this flavour.